Dashboard cameras have been used for years by law enforcement to capture video of traffic stops and other incidents. Recently, private citizens have begun using dash cams as well, and trucking companies are seeing the benefits of installing them in their fleet of vehicles. We’ll explore what dash cams are and how they benefit trucking companies and civilian drivers. If you’ve been hurt in a truck accident and dash cam video can prove what happened, be sure to contact an experienced injury attorney to discuss how that video could help your case. Dashboard cameras go by a variety of names, including dash cams, driving recorders, and event data recorders (EDRs). Most dash cameras are wide-angle front cameras installed in the dashboards facing out of the windshield, but some dash cams may be attached to rear-view mirrors or rear-facing. Some dash cameras have G-sensors that help ensure that new data does not overwrite accident footage. Certain dash cameras are programmed to activate in response to collisions or even the emergency lights of police vehicles. A dash camera can be beneficial for those who have been hurt in an accident with a commercial vehicle because the video footage will often provide valuable evidence of a driver’s actions in the moments before a collision. The camera may capture critical information such as the color of a traffic light and the actions of other vehicles involved in the crash. 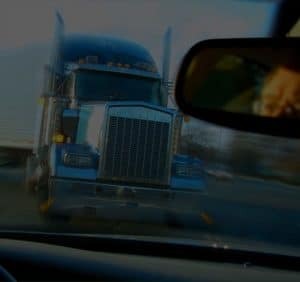 If a truck driver was driving aggressively, if they were tailgating, or if they failed to apply the brakes in time to prevent a crash, the dash cam video will likely show this and could be vital evidence in your injury claim. Trucking companies are rarely willing to make this kind of footage available when their driver’s actions caused the wreck, which why it is vital that you hire a lawyer to represent you. An experienced attorney will know how to obtain this kind of valuable evidence before it can be legally destroyed. The benefits of dash cams for the trucking company are clear: the company will have video evidence if another driver is at fault for a crash. Evidence suggests that truck drivers exercise more care and caution when they know that their actions are being recorded. Additionally, when the driver is required to use their phone as the dash cam, it will significantly reduce the likelihood that they’ll be distracted by their smartphone while driving. If you sustained catastrophic injuries or your loved one was killed in a truck crash in Savannah or a surrounding area of Georgia, you deserve justice. Know that Spiva Law Group is committed to helping people injured by the negligence of other parties to recover all of the compensation they are entitled to. Our firm is prepared to conduct an independent investigation, preserve all of the relevant evidence – including dash cam videos – and identify every single liable party. Call us or contact us online to take advantage of a free consultation.